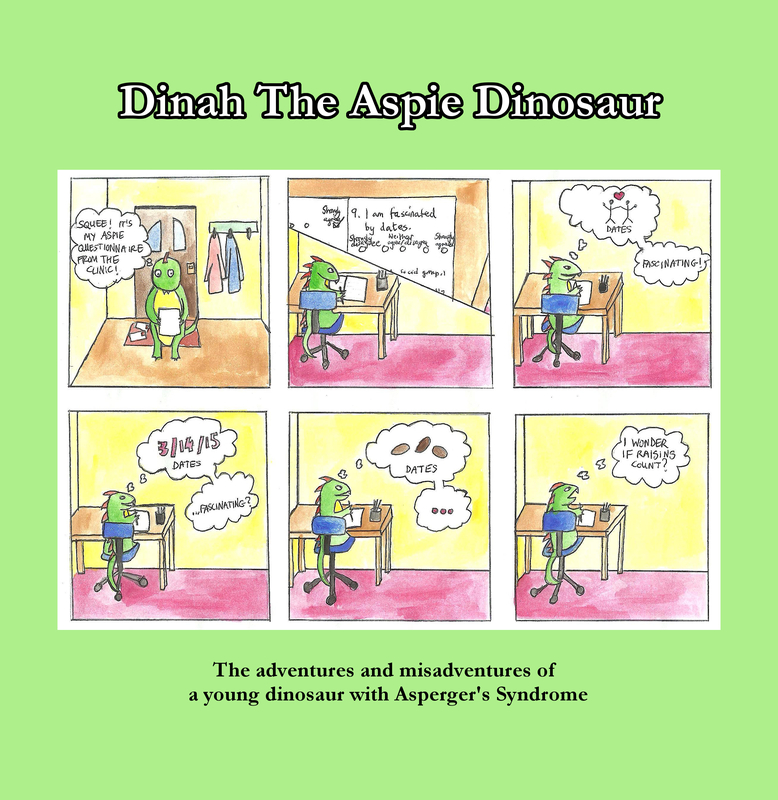 Dinah the Aspie Dinosaur – The adventures and misadventures of Dinah, a young dinosaur who has Asperger's Syndrome. The adventures and misadventures of Dinah, a young dinosaur who has Asperger's Syndrome. [Dinah in the Wild] Dinah the Aspie Dinosaur now available in print! Exciting news! For those who asked (and indeed, those who didn’t), the first 40 Dinah the Aspie Dinosaur comics are now available in print, for the enjoyment of Aspie dino antics without the need for an Internet connection. #100! Who knew that an awkward encounter with Mr Wibbly from I.T. in the waiting room some years ago would give rise to connections with ausome dinos from all over the world? Thanks for all your support, dinos. There are disadvantages to being early for everything. This one has been sitting around for a rather long time waiting to be finished. There ain’t no party like an Aspie party. Happy New Year, dino fans! Much spectrum love and good wishes for 2018. Dinah apologises for having very little time and energy for comic-ing at present and assures you that she intends to update the dino tribe with further tales of her adventures when resources allow.